Set on the crossroads of three continents (Europe, Asia and Africa), Crete is a popular destination for the world’s most quintessential travelers — birds. Every year Crete hosts thousands of migratory species who are free to fly across hemispheres — sometimes just to meet their mates. Crete is a paradise for bird lovers and is one of the main flypast routes for species which migrate to East Africa for the winter, commencing their journey from eastern and northern Europe. 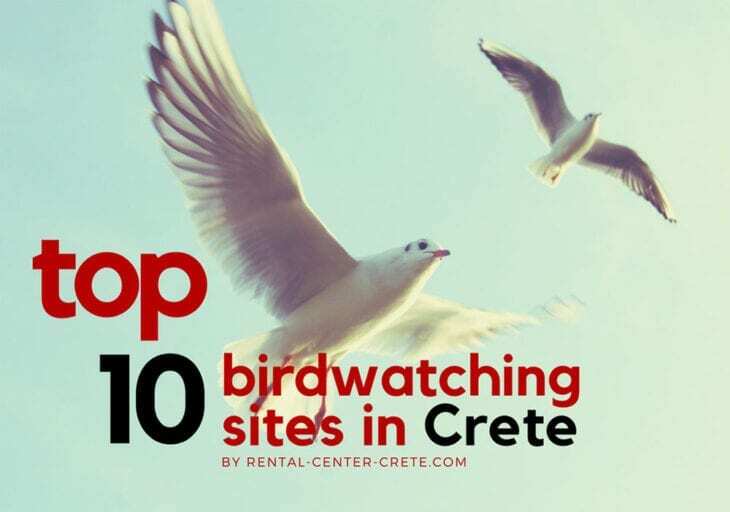 With over 415 different bird species to look out for, we’ve compiled the 10 top birdwatching sites in Crete. Crete is blessed with breathtaking nature, its landscape is dotted with striking mountain ranges, dramatic gorgeous and lakes. Want a travel experience of a lifetime? Rent a car and spend your holiday exploring the natural beauty of Crete. 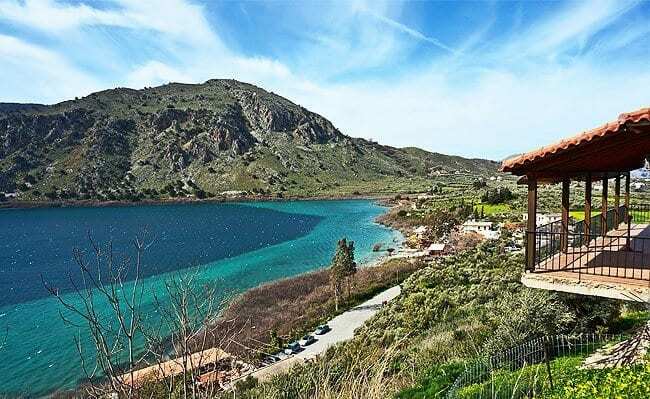 Crete’s only natural freshwater lake is situated on the border of Rethymnon and Chania. 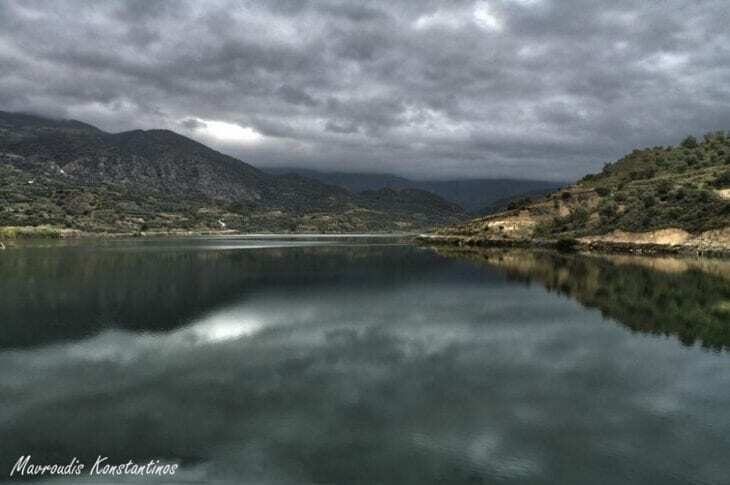 With its impressive natural scenery, Lake Kournas hosts raptors and aquatic birds which are either resident all year round, breeding or wintering. Some of the important immigrant species are Aythya nyroca, Pleads falcinellus, Egretta garzetta and Limosa lisoma. 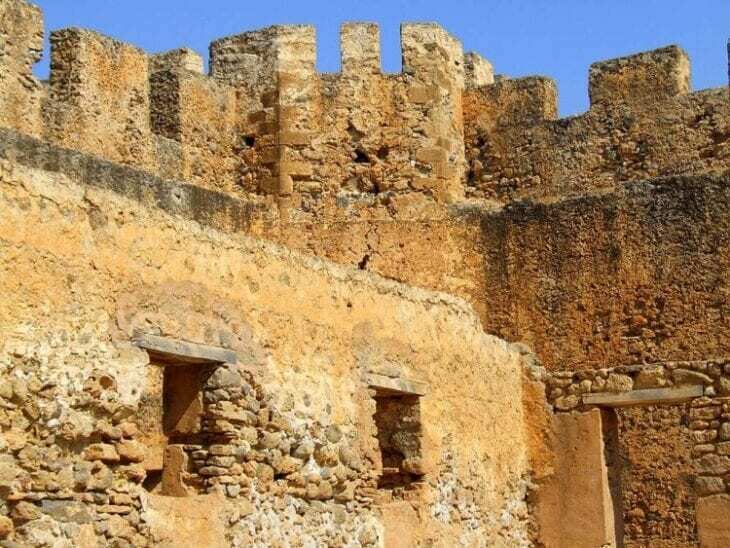 The location of a famous Venetian castle on the south coast of Crete, in Chania is a popular place for migrants such as Wryneck and Black-eared Wheatear. Other species which can be seen here are Spotted Flycatcher, Collared Flycatcher, Blue Rock Thrush, Turnstone, just to name a few. Located on the main highway between Rethymnon and Chania, this picturesque bay contains a freshwater lake shaded by eucalyptus trees. Georgioupolis is a must visit for birdwatching enthusiasts. 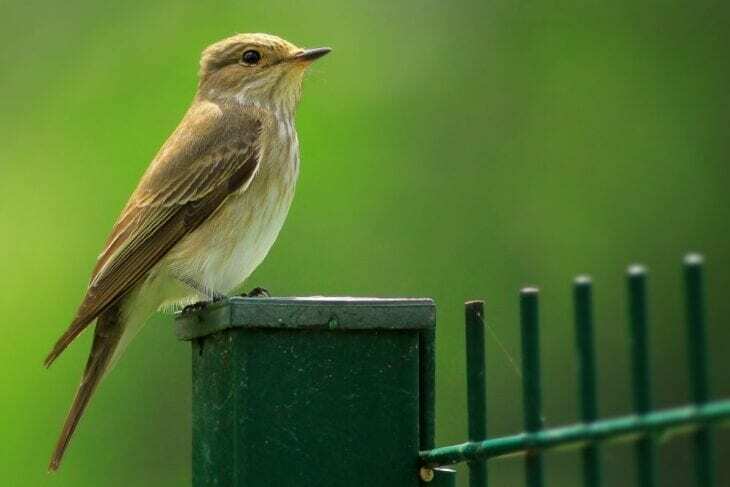 Here you will come across species such as migrant passerines, ducks, geese, herons, terns, waders, coots, Black-winged stilt, Kingfisher and Great Reed Warbler. Right on the edge of the gorge where the river Kourtaliotis ends in a delta, amid the palm tree forrest — lies the magnificent Preveli beach. Some of the species to look out for: Little Bittern, Night Heron, Squacco Heron, Little Crake, Moorhen, Great Reed Warbler and many more. Also the mountainous area around the Moni Preveli with its trees and scrubs attracts species like Nightingales, Flycatchers, Turtle Doves, Golden Orioles, Ortolan Buntings and Ruppell’s Warbler. Tip: Check out our previous post on how to visit 2 Beaches in a Day: Preveli and Damnoni – Rethymno. Where you can combine both birdwatching and swimming. The south of Rethymnon with its incredible beaches, gorges and mountain springs provides an ideal habitat for many raptors and alpine species. 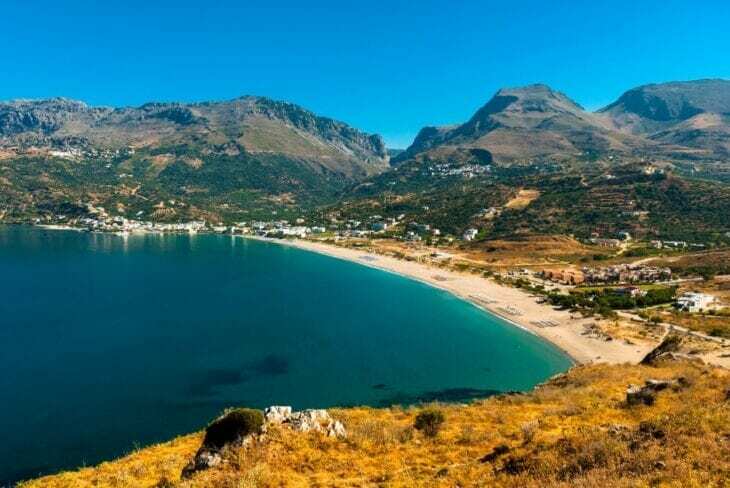 The areas surrounding the beach resort of Plakias are popular with migrants such as Rock Doves and the rare Eleonora’s Falcon, Spanish Sparrow, Woodchat Shrike and Cetti’s Warbler. Heading north of Plakias you will reach the stunning Kourtaliotiko gorge which is one of the most beautiful on Crete. Surrounded by high rising cliffs, towering as high as 300 metres above sea level, the gorge with its numerous caves is home to species such as: Blue Rock Thrush, Raven, Alpine Swift (Apus melba), Griffon vultures (Gyps fulvus) and Crag Martins. Sprawling across a verdant valley at the foot of Mount Psiloritis, the artificial lake of Faromeni is an important wetland of Crete. In spring the bright blue skies and the blooming landscape, unveil a magical aura of serenity. 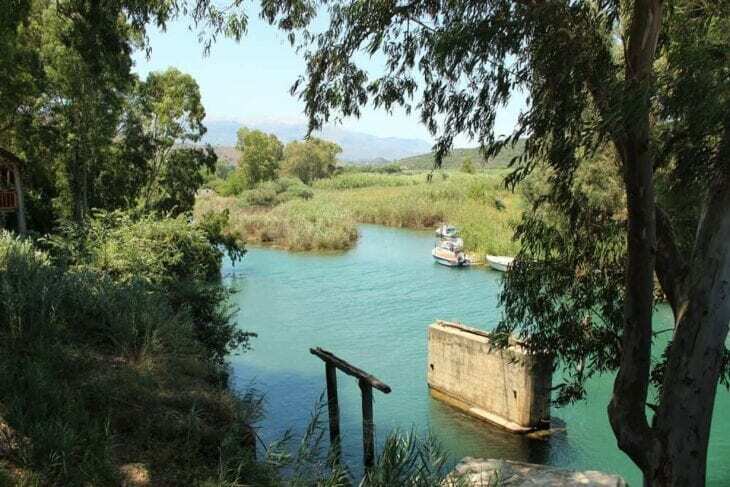 Home to rare birds and animals, the dam can be accessed through the Vori Village which is located near Phaestos or through the villages of Galia and Zaros. 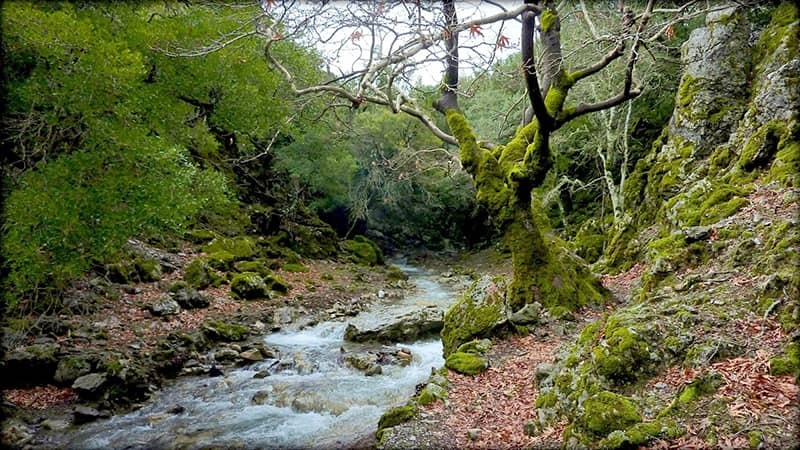 The forrest of Rouvas with very old trees, some of which reach a height of 15 meters constitutes a unique forest biodiversity. An official breeder, a cage for rehabilitation and a raptor observatory have been established here for breeding and migrating of raptors and migratory species. Some of the permanent species found here are Falco biarmicus, Aquila chrysaetos, Lulla arborea, Gypaetus barbatus and Sylvia rueppelli. The Plateau of Thripti is the fifth largest mountain range in Crete, located in the prefecture of Lassithi. Here you will also discover the impressive wild gorges of Ha and Mesonas. Its permanent residents are the birds of prey who have found their refuge in the rugged mountains and the wild gorges. 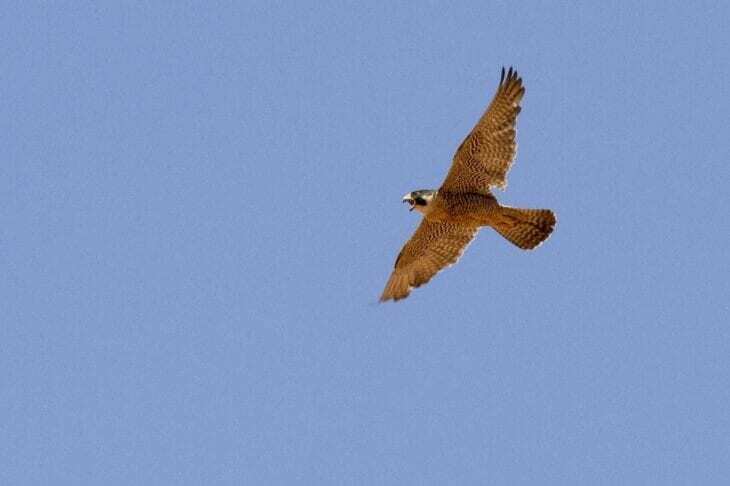 Some of the permanent resident species are Falco peregrines, Gyps fulvous, Aquila chrysaetos, Gypaetus barbarous and Pyrrhocorax pyrrhocorax. 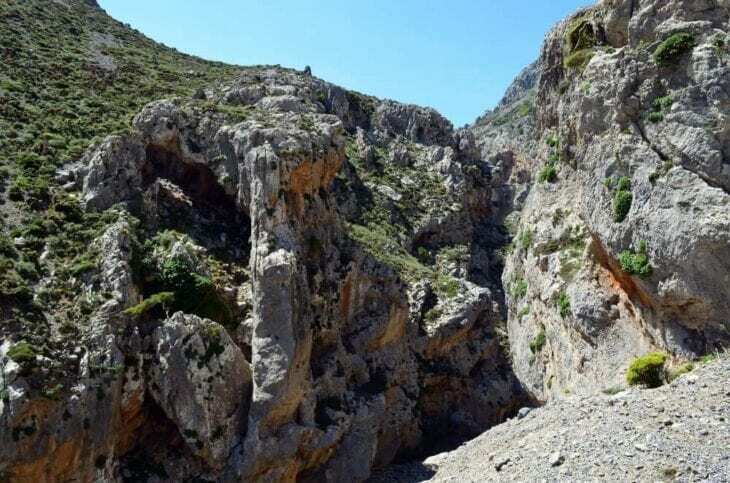 Commonly referred to as the Valley of the Dead due to the Minoan cave burials which were discovered in the gorge, the Zakros Gorge is one of the most popular in Eastern Crete. 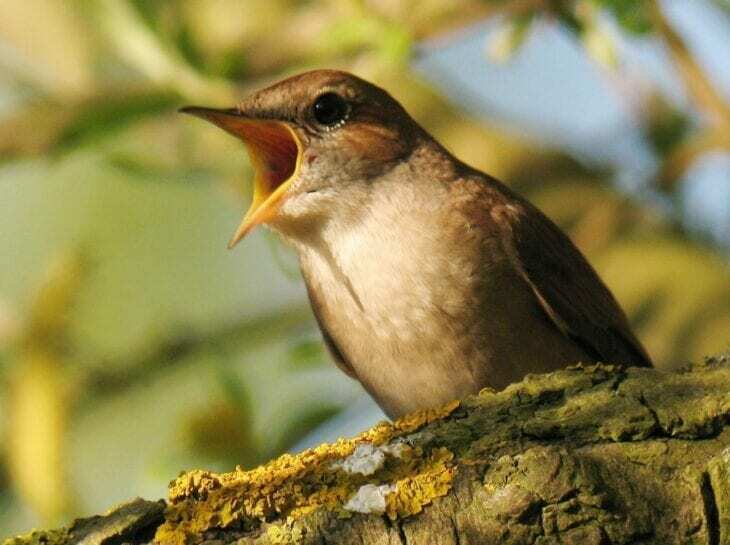 Here you will encounter local Cretan species as well as migrating ones. Have you been to any of these birdwatching sites in Crete? How was your experience?